Pulsating lights, loud industrial and electronic music, colourful hair and dreads, big furry boots – this is the world of Cyber fashion and the Cyber goths! The term ‘Cyber goth’ was coined in 1988 in the UK by Games Workshop, however, the fashion brought about by this was not seen until a decade later. Cyber goth fashion is the combination of both elements from the industrial aesthetics and a style associated with ‘Gravers’ (Gothic ravers). Following this, in 1999 there was a fusion between the fashion in the UK with that in New York, this later created the ‘freak show’ spin. At first, hair extensions and bright fishnets did not mesh well with goth fashion, but by 2002 the rave elements were replaced by Industrial-influenced accessories. These accessories include goggles, reflective clothing, and mostly black clothing. All in all, cyber goth fashion combines within it the styles of rave and rivet-heads. These are coupled up with the inspiration deriving from cyberpunk and other forms of science fiction. This style sometimes features one starkly contrasting bright or neon-reactive theme color; such as red, blue, neon green, chrome, or pink. These are coupled up with basic black attire. The whole outfit can be very skin tight, and at times PVC and rubber are used. There are those who turn to space age pants, booty shorts or phat pants. To make the look complete, masks, respirators, dread locks and neon accessories add a final touch. 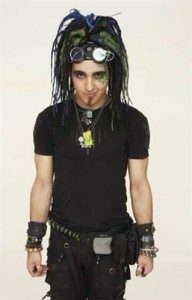 The Cyber goth style incorporates within it extravagant hair pieces and styles. These include the synthetic dreadlocks, cyber lox, or extensions. These hair pieces can be made of a variety of materials, from real hair to synthetic hair, plastic tubing, tubular crin, rubber and foam strips, belts as well as wool. There are those who also accent their look with goggles up high on their head. having two dreads into one. Dread falls on the other hand are single ended dreads looped onto a piece of elastic or lace. These are then attached to one’s natural hair in the form on a ponytail. These types of dreads cause no harm to one’s natural hair. There are also different Dread styles one can make use of. The most popular ones are: the Solid Coloured Dreads, which are made from a single coloured fiber. The Candy-cane Dreads – these are made by using two or more colours twisted together to give a candy-cane effect. Blended Dreads are those made from a blend of different colours to create a more subtle tone. The Transitional Dreads tend to start in one colour and end with the tip being another colour and last but not least, the Natural Style Dreads. The latter are made from the same synthetic materials but resemble natural dreadlocks. With regards to music, it is known that the textures of the 1999 trance music were transformed into futurepop. Through time, the term started taking the form of EBM, electro as well as dark electro. The most common term used to describe their dance moves, is Cyber/Tectonic dance. When it comes to Malta, this scene is not one that can be found very often. 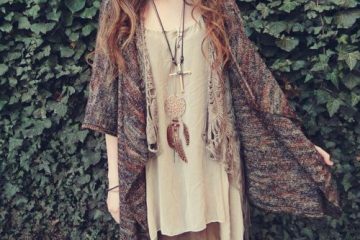 This fashion, even though so unique in itself, has not yet found space to evolve in this country. Most people keep this attire strictly when attending a local industrial event. I must say, this is a shame, since I feel that there is definitely room for development and expression within this population.